Reach billions of customers. 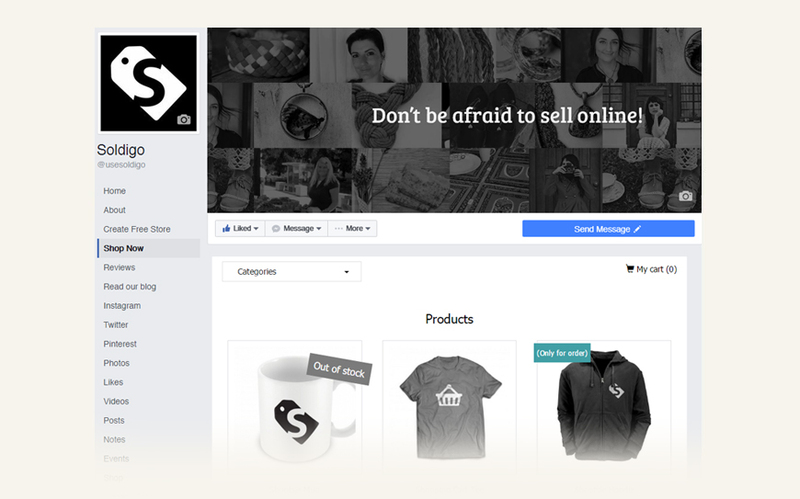 Bring your Soldigo store to your Facebook page by adding a Shop now tab. You can do that by using our Facebook Store app. First of all you will need to install the app. In order to add your Soldigo store to your Facebook page first of all you need to be logged into Facebook. Then, click the Add to store Facebook button and follow the instructions. The look of your Facebook store complies with the look of Facebook. Only you can remove your Soldigo Store from your Facebook Page. To learn how click here.